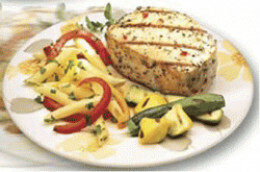 Wondering about your diet after gallbladder surgery? I was too! Many doctors will tell you that you can return to a normal diet after a cholecystectomy (gallbladder removal surgery) But, for many people that is simply not the case. So, what can you eat? Are there any foods you should avoid? Keep reading to find out! I had my gallbladder removed using a procedure called laparoscopic cholecystectomy in October 2010. The fact that it was a laparoscopic surgery meant that the healing process after surgery was faster and easier. However, my doctor told me it was still important to make sure that I ate the right foods after surgery to aid in healing and avoid digestive issues. A few days after my surgery I started to feel hungry again and then I started to really wonder what exactly the right foods were. So, I’ve done a lot of research on the topic and decided to share it here so that others can hopefully benefit from my experience! If you will be having surgery or know someone who is having surgery to remove the gallbladder, I hope you find this useful! I assume if you’re preparing to have your gallbladder out then you know what it does but I will provide a brief description just in case! 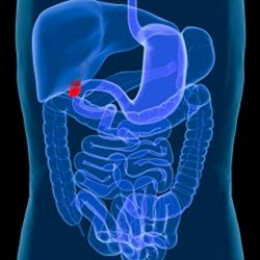 The gallbladder is located in your upper right abdomen, sort of behind your liver. The gallbladder stores the bile that the liver creates. Bile is important for digestion. After you eat your gallbladder releases bile to help break down the food. Sometimes gallbladders get “sick” and stop working right. You may develop Cholecystitis which is a swelling of the gallbladder. Cholecystitis can be caused by gallstones but it also may be caused by infection. If Cholecystitis and gallstones go untreated they can cause the gallbladder to burst which is a very serious emergency. For these reasons, it is often recommended that the Gallbladder be removed. Despite what some people may tell you, the gallbladder is an important organ. No, it’s not necessary to have one to live but it does make life easier (unless it goes bad!) After gallbladder removal the liver has to work harder to help digest foods and filter waste. The liver can no longer rely on the gallbladder to store the bile it produces which means the bile is continuously dripping out of the liver into your stomach. When you eat a meal that is high in fat the liver must work extra hard to try to provide enough bile to help you digest the fat. For these reasons, it’s very important to watch what you eat after gallbladder removal. Your body will eventually adjust and you will most likely be able to start eating food that you enjoy again but this can take months or even years. Please visit my Gallbladder FAQarticle if you want to learn more about the gallbladder. For the first 2-3 days after surgery you probably won’t be very hungry. Anesthesia can cause nausea and it is generally recommended that you stay on a clear liquid diet for 24 hours after surgery – until the anesthesia has cleared out of your system completely. Also, remember that although the outside of your body does not look very traumatized (if you had a laparoscopic surgery) your body did just go through a trauma. Your organs are adjusting to the effects of the gas that was used during surgery as well as the fact that an organ was removed. A clear liquid diet means that you can pretty much eat anything you can see through. There are some foods that should be avoided after gallbladder surgery. Generally, any foods that gave you pain before surgery will need to be avoided. It will take awhile for your body to learn how to digest fats so you should stick to a low fat diet for at least a few weeks after surgery and reintroduce them very slowly. Dairy products and too much fiber can also cause problems. The BRAT diet (Bananas, Rice, Applesauce and Toast) should be avoided if you are having problems with constipation. However, if you are having diarrhea you may want to eat more of these foods. After 24 hours you should be clear to start eating more solid food. Remember to take it slow. Instead of eating 3 big meals, spread it out to 5 or 6 very small meals over the course of the day. I know from personal experience, that I felt full even after eating only a little bit! Listen to your body and if you start feeling full, stop eating! You can of course continue to eat items from the clear liquid diet. Your nausea may return even a few days after surgery. Sometimes a little broth or tea will help you feel better when you’re feeling nauseous. It would be impossible to list everything that may be tolerated since everyone is different. Some people will be able to tolerate more foods sooner than others. I have listed some suggestions based on what worked for me and what I have heard worked for other people. Get A Tasty Chicken Noodle Soup recipe here! Bile Salts can help aid in the digestion of fats. They seem to work particularly well for people who have had their gallbladders removed and can not tolerate fatty meals. If you are still having digestion issues and bloating months after your gallbladder removal, you might want to consider adding bile salt supplements to your diet. They have been life changers for many people who don’t have their gall bladder anymore. You should be able to start re-introducing your old favorite foods 3 or 4 weeks after surgery. Remember to take it slow and listen to your body. It could take months for your body to completely adjust to the removal of your gallbladder. If your diet was poor before surgery you should probably not plan to return to the same diet after you have healed from surgery. For the health of your liver you want to keep fat intake to a minimal level. As with any healthy diet, you want to keep your meals well balanced with fruits, vegetables, protein, whole grains and dairy. Be careful not to eat too much in one sitting. Your body will most likely digest food more slowly and eating too much will cause indigestion. Add new food back into your diet slowly and listen to your body. If something makes you sick return to more bland foods for awhile and try again in a week or so. Food To Help You Heal – and to help you live healthy! There are certain food that will help your body heal faster and maintain optimum health. Try to add some of the foods listed below to your diet to help your incisions heal and help you get back to “normal” faster! For the rest of your life your liver will be compensating for the loss of your gallbladder so it’s important to eat foods that help support the liver. It’s also important to eat for the health of your intestinal tract which will help you avoid indigestion. The following food will help support your liver and intestines and should be fairly easy for your body to handle. It’s not fun to talk about, but diarrhea is a problem for many people who have had their gall bladders out. Here are some tips for preventing and treating diarrhea after gallbladder surgery. BRAT Diet – Bananas, Rice, Applesauce & ToastYogurt can help build up the good bacteria in your gut to prevent and treat diarrheaDrink lots of water. You should normally have half your body weight in ounces every day – drink extra when you’re dealing with diarrhea.